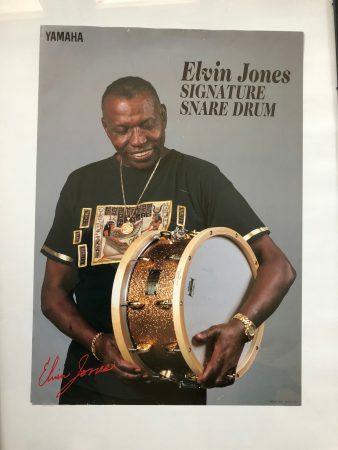 This is an original Yamaha promotional poster personally collected by Elvin Jones. The poster is printed on both sides. This is not a reprint or reproduction. Acquired directly from Elvin’s estate. 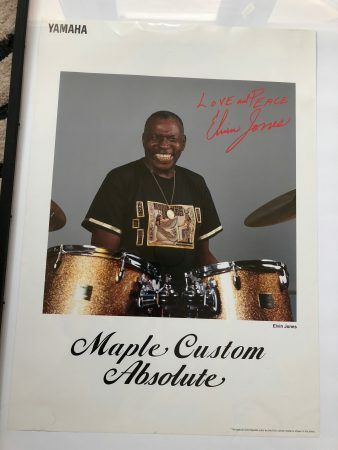 Signature in red is printed, not hand signed. Ships in a mailing tube. $12 US shipping.